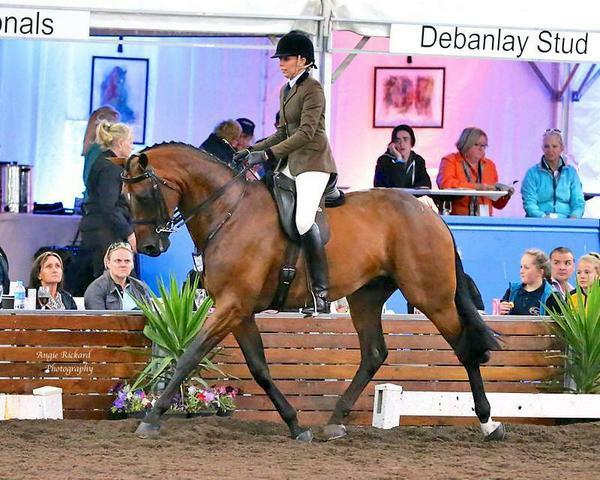 After having interviewed Kitara Top Contenda's breeder, Dom Knight (Ingvall) we just had to catch up with his current owner and rider Renee Simpson to find out exactly why Dom is so proud of her first born foal. Renee, how it is that you came to own Piper? I was very lucky to stumble across the perfect horse for me Piper. A dear friend of mine came along to the Ekka to see me in 2014, telling me about a beautiful big warmblood her aunty (Pauline Gable) had at home and was looking for someone to ride him and compete him for her. At this stage Piper was not for sale. I went for a look and had a ride and fell in love with him. I flew down and took him to a couple of horse of the year shows and had enormous success. After being home a few days Pauline called me and offered to sell him as she knew the bond we had straight away. I jumped at the idea and bought him. What was it about Piper that made you sure that he was the right horse for you? Piper has the best personality very cheeky but a lot of fun. I was very lucky to spend a few weeks to get to know him before I bought him. He’s such a lovely horse to sit on with an amazing big trot and a very balanced canter. What were you plans for Piper when you first bought him? I bought Piper after I qualified him for EA Nationals in Melbourne. So I was very excited to take him and ride on the Queensland team. I then brought him home to Cairns in Nth Qld and enjoyed getting to know him at home. I will continue to show him as much as possible and hopefully I can qualify him for Nationals again. I have always wanted to get the right horse for dressage as well so I’ve been doing a bit of dressage on him and loving it. What have been your highlights with Piper to date? Our first show together he won the first season show hunter, intermediate show hunter and then went on the win EQ Large Hunter of the year 2014. Toowoomba Royal he won the novice large hunter and then went on to win champion novice show hunter, and reserve open show hunter. 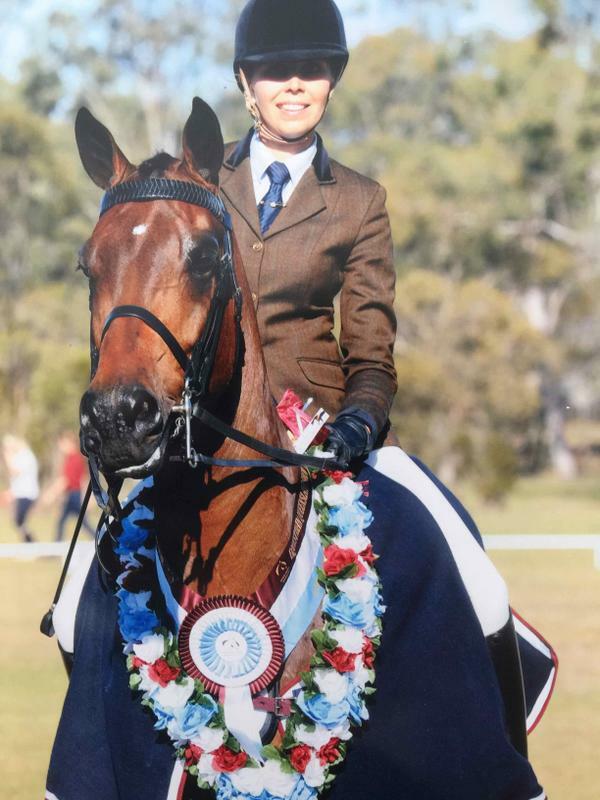 Piper is a great rider class mount I won my open lady rider, and reserve champion lady rider at Toowoomba royal and he then took Ken Uren to champion gent rider that same day. He’s taken me too many champion lady rider classes at agricultural shows in Queensland and won many champion hacks. Our first dressage competition he won high point dressage horse and rider over the show, with very good scores. Piper is qualified for Grand National 2016, so I’m aiming to take him and do Sydney Royal as well. My goal is to ride and compete piper at national level and be successful. 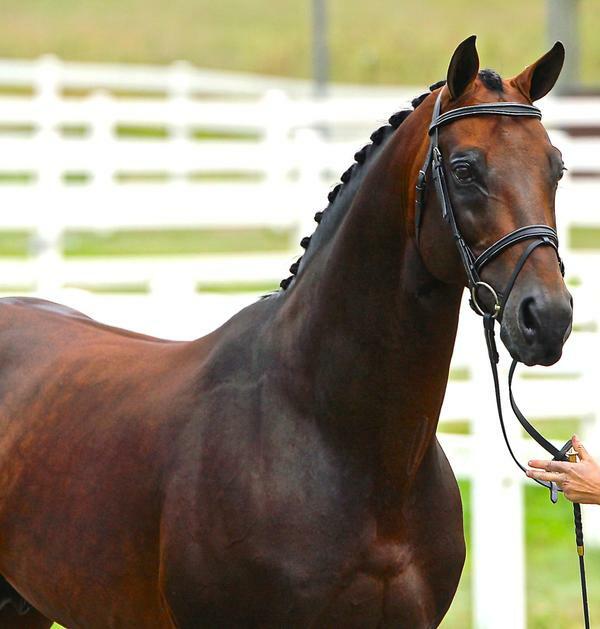 I would also like to continue dressage with him and get him to the higher levels. Piper has a very trainable attitude and the more I ask the more he gives. Nothing is too hard for him. He’s very soft in the mouth and an absolute pleasure to ride. He is a very honest worker no matter what the atmosphere is or if he’s a little nervous he never lets me down in his workouts. What would you change about Piper if you could? I would love him to overcome his fear of water and puddles. Also It would be good if he didn’t rip his rugs off all time. Otherwise I wouldn’t change a thing. Would you like more information about how you could breed your own superstar ?